Mantic games are using a miniature that I painted in their publicity shots today. I painted the Yndij Reaver model on the right of the image above, the guy with the orange mane. My painting isnt nearly as tight as studio painters – I doubt that I will ever have anything like that sort of patience and skill level – but I am very pleased that what I produce is good enough for shots like this. I dont tend to put external videos up here. I prefer this blogs content to be almost exclusively about my processed hobby items/events, not anything else. Nonetheless, I want to put this ninety second clip that I have been pondering for a week or so up anyway: it is very hobby relevant and applicable to how I approach my toy soldier output. Shuttlecraft Helga sits being refuelled at Libertine spaceport. 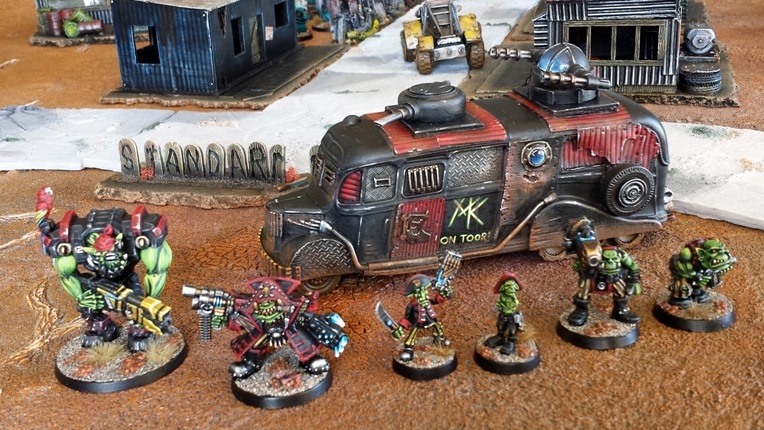 After the ork pirates and the evil human mercenaries finished stealing each others wheels they went to the spaceport. This is what happened next. Kaptin Fiddy Teef commandeers Mushrööm Klöwds Töör Bus and takes Big Billy, Crackers and some other Skallywags on a road trip. Just before Xmas PB and I got together for a couple of games of Pulp Alley set somewhere in the armpit of the 40k universe. 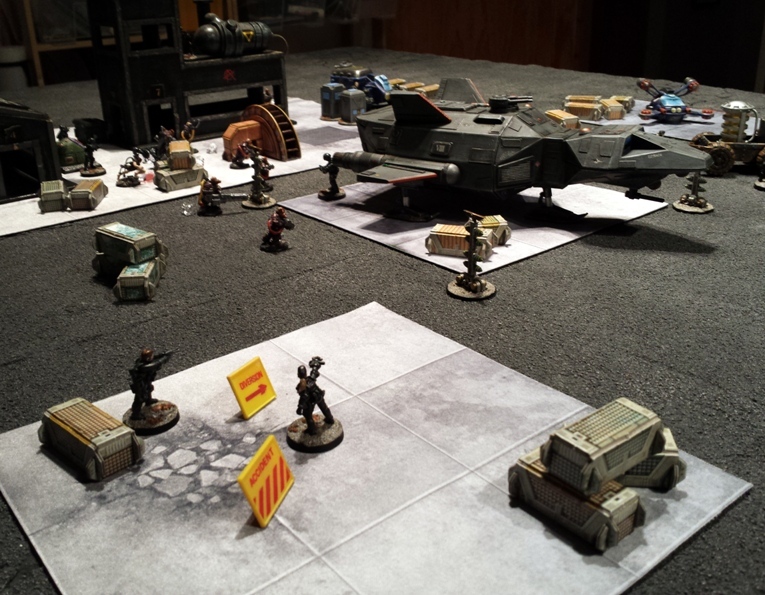 For the first game we particularly wanted to try out the PA vehicle rules. This is how it went. Sometimes good things happen. One of todays good things is finding out that my corner of internet toy soldier-dom got a small but complimentary mention in an article in Miniature Wargames Magazine #381. Isnt that nice? Exactly the sort of thing that one is glad to hear on a cold January Monday. Edit: I have put a link to the full article above. With the article now included I heartily encourage anyone who enjoys any of the items on this blog to check out the others listed in the piece. Every one is well worth your time. In December I finished these three pieces for the newly released DreadBall Xtreme.